Woke up to a bit more snow. Drove home in rain and sleet tonight. 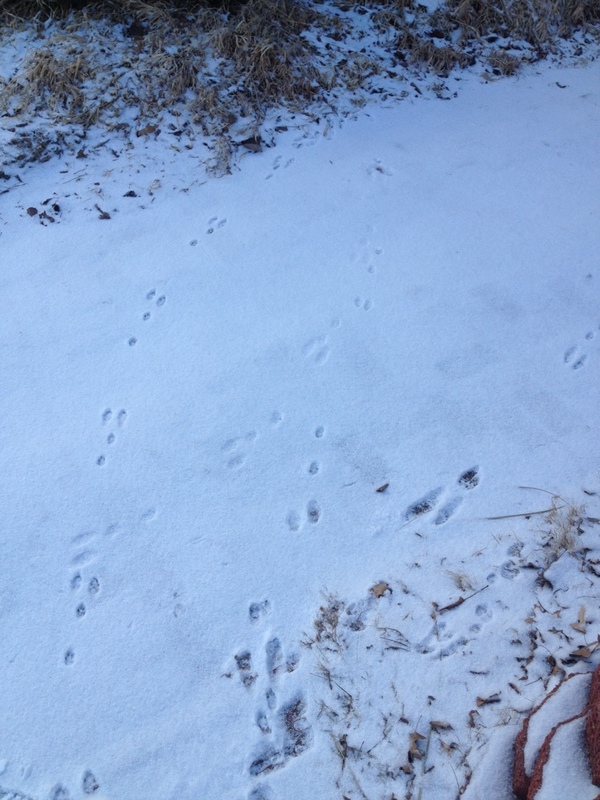 Some wild bunnies had a snowball fight in our driveway and left their trail.